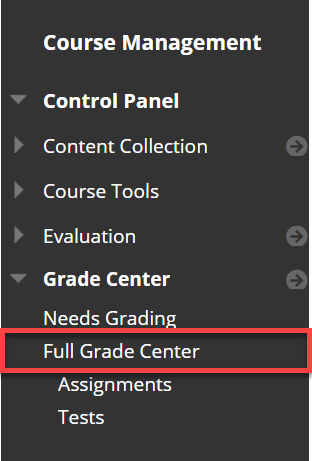 In the Course Management menu on the left, click on Grade Center to expand the options and then click Full Grade Center. Locate the student and the assignment for which you would like to allow an additional attempt. Hover over the the grade area and click the gray drop-down arrow for more options, then click View Grade Details. Click the Allow Additional Attempt box at the bottom of the Grade Details area. 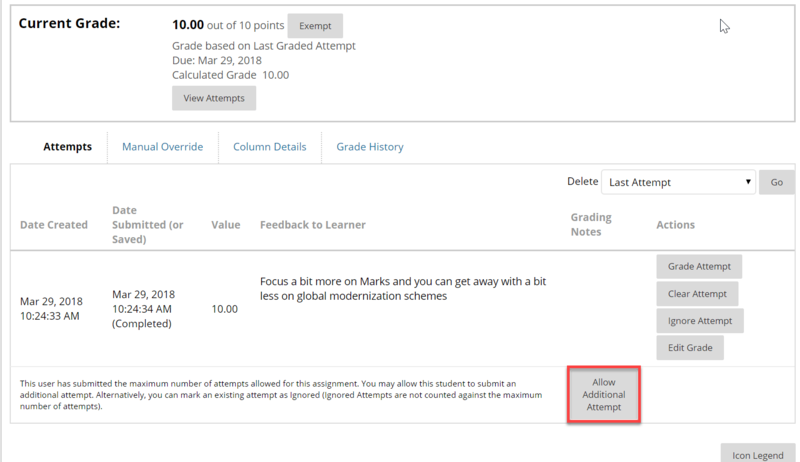 Note: If you have the assignment set for “Unlimited Attempts” this option won’t show for you! A box will appear asking you to confirm, click OK. When completed you will see the following confirmation message. Now the student will be able to resubmit their assignment.